First line: Those months, the months before she disappeared, were the best months. Summary: Fifteen year old Ellie is the golden child. Then one day she disappears without a trace. Ten years later her mother, Laurel meets a man in a coffee shop. He is charming and appears to be the perfect man. As her relationship with Floyd progresses she meets his daughter who bears a striking resemblance to her missing daughter, Ellie. What happened to Ellie? After all the years of wondering Laurel is determined to find out. My Thoughts: Lisa Jewell is a new discovery for me. I recently read her latest book, Watching You, on the recommendation of Dawn (who writes our Lit Pairings blog posts). I was hooked immediately. Her novels are fast paced filled with lots of twists and turns. I was pretty sure I had everything figured out early on in the novel. However, I was wrong. Things continued to get more twisted as I read. The book was divided into different parts with different narrators. As the story progressed we got different looks at the events of then and now. I was very shocked and little saddened by the ending. If you read it you may understand. There were lots of pieces that are very hard to read. But Jewell is an amazing writer. Even if the story had been less intriguing her writing would have saved it. I will definitely be on the hold list for any more of her upcoming thrillers. FYI: This is perfect for fans of Ruth Ware and Shari Lapena. First line: The baby is dead. Summary: When Myriam decides to go back to work she is tasked with finding someone to watch her two children. Along comes Louise. She is perfect. She works late, cleans the house and the kids love her. As time goes on the family and Louise become even more reliant on each other, which leads to jealousy and resentment. Highlights: For such a short novel there is a lot of story. It was a slow burn. There are no twists and turns. There is just an underlying darkness to the novel. Louise has a past that haunts her but she seems to overcome it. 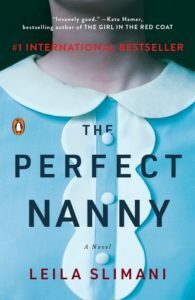 As we delve deeper into the plot, it becomes apparent to Myriam that the perfect nanny is not quite so perfect. Little things begin to happen. Who is the woman that they let into their life? So much is packed into the pages. 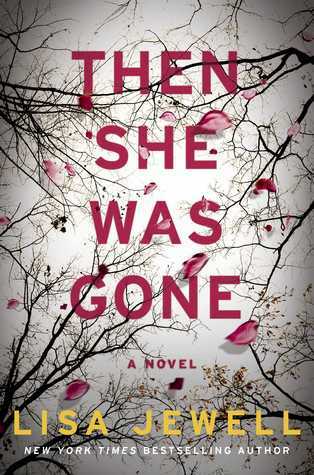 It is not the next Gone Girl but it is still worth the read. Lowlights: It ended very quickly and abruptly. FYI: Translated from its original French version. Six close friends from Oxford spend what they hope will be the perfect summer getaway together in a farm house in France. And it is, until they meet the girl next door — Severine. For Kate, Severine is an unwelcome presence, who undermine’s the groups loyalties. Kate knows that after a huge blow-up on the last night of the the holiday, that things are not ever going to be the same. Some actions are unforgivable and some people are unforgettable, even if they are never seen again. But a decade later, Severine’s body is found. Suspicion begins to swirl around Kate, who finds herself buried in deception and has no one to help her get free. The latest in Charles Finch’s Charles Lenox mystery series takes the reader back to Lenox’s first case in 1850. Lenox is struggling to make a name for himself as a private detective, and Scotland Yard refuses to take him seriously. An anonymous letter sent to the newspaper is from a person who claims to have committed the perfect crime, and in the letter they promise to kill again. Lenox believes this is his chance to prove himself. The killer’s sights end up set on those closest to Lenox, and he ends up in a deadly game of cat and mouse. 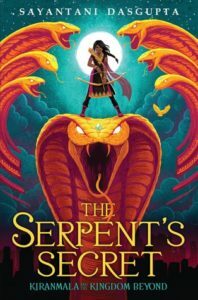 Kiranmala is just a normal New Jersey sixth grader when she wakes up on her 12th birthday. Then her parents disappear and a demon blasts through her kitchen trying to eat her alive. Her parents had often told Kiranmala fantastical stories — like that she was really an Indian princess. Then, two swoon-worthy Indian princes show up at her door trying to rescue her. Now she’s sucked into another dimension: one full of magic and mythical creatures and magical maps. She has to solve riddles and avoid demons and try to avoid the things that want to kill her, while trying to find her parents and basically save New Jersey. Typically, the movie comes after the book, but in this case it’s the other way around. The highly rated movie, which is still out in theaters, was released a couple of months ago. Critics have said that director Guillermo del Toro was “at his visually distinctive best” with this film. He has joined forces with author Daniel Kraus to tell this love story in novel form. Elisa Esposito is mute, and works as a janitor in a research center in 1962. One night she sees a creature she isn’t supposed to, and it eventually becomes her sole reason for living. io9 says in its review that the movie and the book tell this spectacular story in two very different ways. 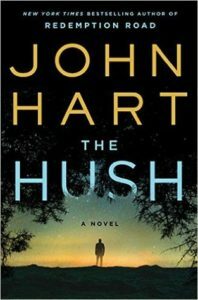 This book takes the reader back to the world Hart introduced in The Last Child. But you don’t have to read that book before you read this one. Johnny lives alone, 10 years after the events that changed his life. Books have been written about his exploits, and people are curious, but Johnny works hard to maintain his privacy. His one connection to his past is with his childhood friend, Jack. Jack senses danger in the lands Johnny lives on, but Johnny doesn’t want to discuss it. I’m having a hard time believing it’s already February! How did January go by so fast? I’d like to think that it’s all the reading I’m doing, but I’m afraid that’s not actually the case. In the meantime, there are more great books being released every week. Here are four that we think look pretty appealing. If you decide to read any of them, please comment below and let us know what you thought of it. Remember, click on the book’s title to go to the catalog where you can see if it’s available or put it on hold. The 1918 Spanish flu epidemic is at the center of this book about family and relationships. The Bright family moves to Philadelphia in 1918, with the hope that they can give their three daughters better opportunities. Just a few months after they arrive in Philadelphia, where Thomas goes to work in his uncle’s funeral home, the Spanish flu hits the town. As the pandemic spreads and kills 12,000 people in the city, the members of the Bright family find the things they believe in challenged. It’s autumn of 1960 and Angie is living her dream life with her husband, Paul, and new baby. Then a phone call shatters their comfortable world. Ruby calls her Uncle Paul to report that her father, Henry, has committed suicide and her mother, Silja, is missing. Angie and Paul immediately head to upstate New York to be there for Ruby, who is 17. As Angie learns more about her husband’s family, she begins to wonder about her own marriage. 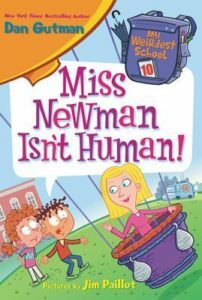 From Goodreads: “In this tenth book in the new My Weirdest School series, Sprinkles Newman, the local TV meteorologist, is coming to Ella Mentry School! She’s going to teach A.J. and the gang all about the weather. But what happens when a real live (well, not live) hurricane comes to the school? Hold on to your umbrellas! Lorena Hickok grew up desperately poor in South Dakota, but in 1932 she met Eleanor Roosevelt during FDR’s first presidential campaign. Hick, as she was known to her family and friends, was able to rise above her circumstances and by 1932 had fashioned herself as the most prominent female journalist in America. Bloom’s novel explores the relationship between Eleanor and Hick, as Hick moves into the White House and her status as “first friend” is an open secret, along with FDR’s own lovers. There’s definitely a chill in the air and we’ve seen our first forecast for possible snow (already?! it’s far too early for snow!). Break out the hot cocoa and some marshmallows, find a soft blanket to curl up in, and grab a good book! If you’re looking for something new, here are a few books scheduled for release this month (all of them before Thanksgiving!) that we recommend. Hadley Macauley is at the center of this debut novel, told in alternating then and now chapters. Hadley’s family may look like a perfect family from the outside, but they are hiding a dark secret. Hadley is doing everything she can to keep her sister safe from their father, but after Hadley’s relationship with Charlie deepens, a violent incident at home changes everything. After Hadley attempts suicide, everyone wants to know what happened that day at home, and Hadley’s not saying a word. From the author of the Lunar Chronicles comes the first in a new series about a syndicate of good guys who rose after society crumbled and chaos ruled—the Renegades. As champions of justice, they’ve brought about peace and order, which is appreciated by everyone but the villains they’ve vanquished. Nova is on a mission of vengeance for a villain who has the power to crush her, and when she meets Adrian, they both end up in danger. 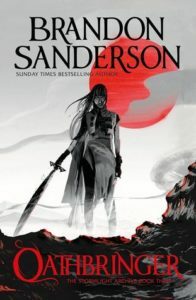 Brandon Sanderson does epic fantasy with the best of them, and the third installment in The Stormlight Archive series is no different. Humanity is facing a new Desolation in the Voidbringers. The violent Everstorm is sweeping the world with destruction. But nestled in the mountains above the storms, Shallan Davar unearths dark secrets in the ancient stronghold of the Knights Radiant. Previous books in The Stormlight Archive: The Way of Kings (#1), Words of Radiance (#2), and Edgedancer (#2.5). New science fiction from the bestselling author the The Martian is set in the near future in a city on the moon. Life in Artemis is pretty rough if you aren’t one of the rich tourists, so a little smuggling won’t hurt anything and certainly helps pay the bills. But when Jazz gets the chance to pull of a perfect crime, what could go wrong? Until she finds herself in the middle of a conspiracy for control of the city itself. Carter is a street magician. When he runs away to a sleepy New England town, he finds friends and more magic. After a greedy boss and some crooked carnies move into town, Carter teams up with five more kids who think like he does. 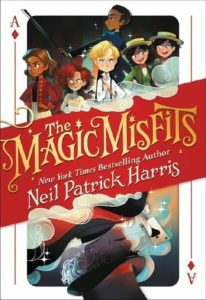 They set out to rid the town of the bad guys, using magic and teamwork, and in the meantime, find friendship, adventure and their own self-worth. The first few weeks of school are out of the way, the mornings are a little cooler, and we can always find more excuses reasons to read, right? There are some books that look like they will be great reading as fall makes its way to Kansas. So take a look at a few books we think are worth noticing as the pumpkins start to ripen. Click on the title to go to the library catalog where you can see if the book is available and put it on hold. Grab your favorite hot drink, find a comfy chair and sit and read for a while! Jane was raised by her Aunt Magnolia, a deep sea photographer and adjunct professor. But now Jane is a year out of high school and Aunt Magnolia got lost during an expedition to Antarctica a few months ago. Jane is now obsessed with the umbrellas that reflect her dreams. When she is invited to a gala at the island mansion Magnolia told her to absolutely go to if she ever got the chance, Jane goes. What Jane doesn’t know yet is that every choice made in the mansion comes with a reward, or a price. 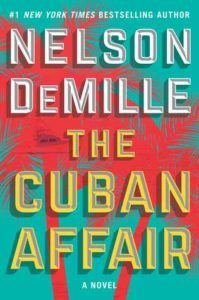 Meet Daniel “Mac” MacCormick, owner of a fishing boat that may be making a trek to Cuba to recover $60,000,000 hidden during the Cuban revolution. Daniel “Mac” MacCormick is a decorated U.S. Army veteran who served two tours in Afghanistan during his 5-year stint as an infantry officer. Now he owns a 42-foot charter fishing boat and is sitting in a bar waiting to hear why he should take a $2,000,000 fare to Cuba. After hearing Sara’s story of the $60,000,000 her grandfather hid during the revolution, he knows that he’ll either come away from this job rich, or he won’t come back at all. 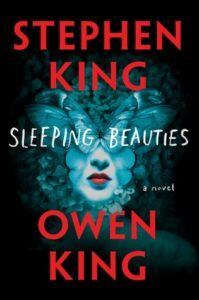 Stephen King co-authored “Sleeping Beauties” with his son Owen King. If you have been to Asheville, North Carolina, and visited the Biltmore Estate, or if you’ve never been to North Carolina and only seen pictures of the Biltmore Estate, this book tells the magnificent story of how the country’s grandest residence was built. However, the book is more than just the story of how a 175,000-square-foot home was built. You’ll also learn the story of George Vanderbilt and Edith Stuyvessant Dresser. 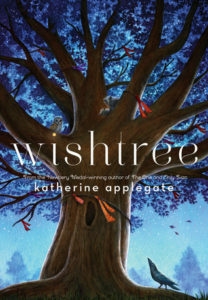 This book for middle grade readers is a wonderful story about relationships. The holiday weekend means I’m a little behind this month, but here are some new releases we’re looking forward to this month. I hope you found some time to get some reading in on that last great weekend of the summer. Yesterday really did seem to be our last blast of summer with temperatures in the Wichita area hovering near 100 degrees. Today feels like the beginning of fall with much cooler temperatures and a cloudy sky! But for us readers, that just means that we can move our reading indoors with a cup of our favorite warm beverage (librarians here are split between coffee and tea, although my favorite is hot cocoa). Take a look at the titles below and see if something here grabs your interest. You can click on the title of the book to find it in our catalog. A tale of a relationship built on lies, and how it can unravel. 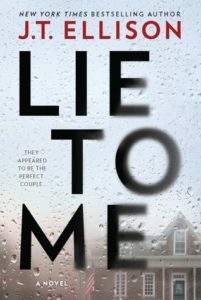 Where does a life built on lies get Sutton and Ethan Montclair? Not very far it turns out. While it appears that the couple is made for each other, the truth is much darker. They have been consumed by troubles, both personal and financial, and the two both love and hate each other. 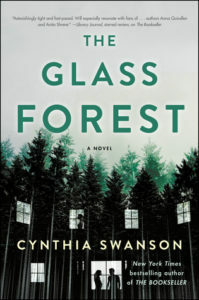 When Sutton disappears, leaving a note that directs people not to look for her, the lies begin to unravel and Ethan finds himself at the center of the gossip and questions. A thriller full of twists and turns that will have you turning pages. This romance tells the story of Harriet Beecher and her relationship with Calvin Stowe. Harriet has a strong faith in God and believes that God will help her accomplish everything she is meant to be, including a wife, mother, and writer. When Calvin is called away on a European business trip, Harriet begins to wonder about her place in his life as she knows he still misses his first wife. Even when Calvin returns, life is much harder as Harriet tries to fulfill her many roles. A new tale from a literary master. 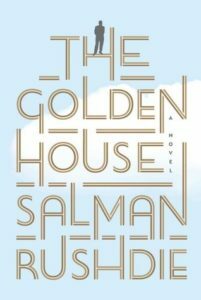 Another masterful tale from Rushdie, this novel tells the story of the Golden family, from the perspective of their Manhattanite neighbor, confidant and aspiring filmmaker, Rene. Nero Golden is a real-estate tycoon with three adult children. They move into a mansion in downtown Manhattan after immigrating to the United States under mysterious circumstances. Rushdie calls on pop culture, cinema, literature, and current events to tell this story. 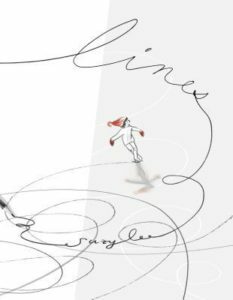 A magical picture book explores the designs a young skater makes on a frozen pond. For those who log in every day, Warcross is more than just a game. Emika Chen is a teenage hacker who also works as a bounty hunter, searching for those who bet on the game illegally. She needs to make some quick cash, so she takes a risk and hacks into a game, but accidentally glitches herself into the action. She’s convinced she’s going to be arrested, but instead ends up on a mission for the young billionaire creator of the game. 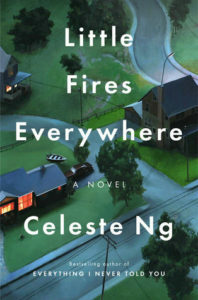 Celeste Ng creates a simmering suburb in this story of how a secret can upend a community. Shaker Heights is a carefully planned suburb of Cleveland, from the layout of the roads to the color of the houses. Elena Richardson embodies the ideas behind the suburb perfectly, as she absolutely believes in following the rules. But when Mia Warren moves in — an artist and single mom — and rents a house from the Richardson, life in this carefully ordered community gets upended. Man, it feels like we were just here talking about early August new releases, and now it’s time for late August new books already! The good news is we have THREE more Tuesdays in August for that much more good reading to be available! Here are a few of the books we think will make an end-of-summer splash with their releases later this month. Which ones will make it onto your list of to-reads? This new picture book is great for Halloween or the start of the school year. 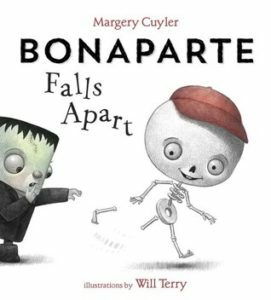 If you have a child who is anxious about starting school, check out this adorable picture book about Bonaparte, who has issues when playing catch (his arm flies off with the ball) and other minor mishaps. His good friends Franky Stein, Black Widow and Mummicula are there to help him out. Meet Isidore Mazal, an average 11-year-old who lives in France with his five exceptional older siblings. While his siblings are on track to have their doctorates by age 24, writing a novel or playing with a symphony, Isidore notices things and asks questions others are afraid to ask. When the Mazal family experiences a tragedy, Isidore is the one to notice how the rest of the family is handling their grief and he may be the only one who can save the family, if he doesn’t decide to run away from home first. Emma and Henri are sisters who have always been best friends. Emma trusted Henri implicitly, and then something happens that wrecks them and they end up washed ashore. They are stranded with only Alex, a troubled boy who has secrets of his own. In the second-to-last installment of Grafton’s alphabet mysteries, Kinsey Millhone finds herself in drawn into one of her most disturbing cases yet. In 1979, four boys sexually assaulted a teenage girl, videotaped it, and not long after the videotape went missing and one of the boys was killed. Fast forward to 1989 when one of the perpetrators is released from prison. A copy of the missing videotape shows up with a note demanding ransom, and the perpetrator’s family calls Kinsey in. 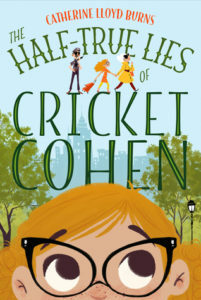 Cricket and her grandmother Dodo go on a Manhattan adventure in this middle-grades novel by Catherine Lloyd Burns. Aviva Grossman is a congressional intern in Florida. When she engages in an affair with her boss — a very married congressman — then blogs about it, she takes the fall when it goes public. She changes her name and moves to Maine to become a wedding planner. 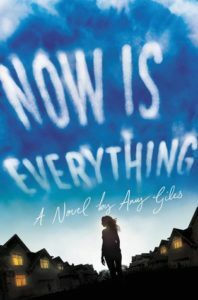 However, as events in her life unfold, she discovers that thanks to the power of the Internet, her past is never actually left behind. 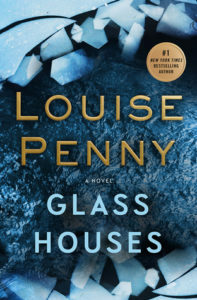 Louise Penny’s beloved Inspector Armand Gamache faces not just a physical investigation into a murder, but an internal investigation of his conscience. A mysterious figure appears on the village green in Three Pines. 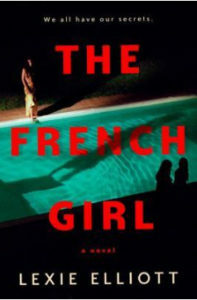 A body is discovered when it vanishes and it is up to Gamache to discover the ins and outs of the murder. The story takes the reader not just through the discovery of the body and the arrest of the suspect, but through the trial of the accused. All the while, Gamache wrestles with the actions he’s set in motion, and his conscience. A serial killer buries his victims on the banks of the Mississippi. Years later, the rains and floods unearth the bodies. While his victims were disappearing, Jaci Patterson was finding “gifts” on her porch — the first was a golden locket with a few strands of hair wrapped around a bloodstained ribbon inside. The deputy sheriff at the time was convinced that Jaci was just a publicity-seeking teen. Until Jaci comes home again, and the nightmare has started again. Dog Man is back in his third adventure from the author of the Captain Underpants series. Dog Man is on the police force, which hasn’t always been the best thing to happen. But now, Petey the cat has dragged in some trouble, in the form of a kitten, and Dog Man is going to have to work extra hard to stay top dog! Last week was an exciting one for us at the library, with the grand opening of the StoryWalk at High Park. You may be wondering what exactly a StoryWalk is (and it’s OK, because I didn’t know either when it first came up). A StoryWalk is just what it sounds like: A way to read a story while walking a path. 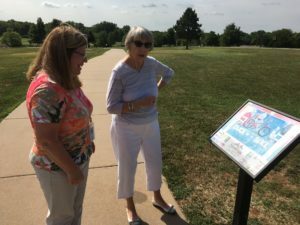 The StoryWalk at High Park starts near the playground near the Zimmerman Family Shelter. The story pages are mounted along the walking path that goes around the pond at the south end of the park. Follow the arrows on the sign to the next page of the story. The stories will be changed five times a year, about every 2-3 months, so your family can come back to the park often to enjoy a new story. 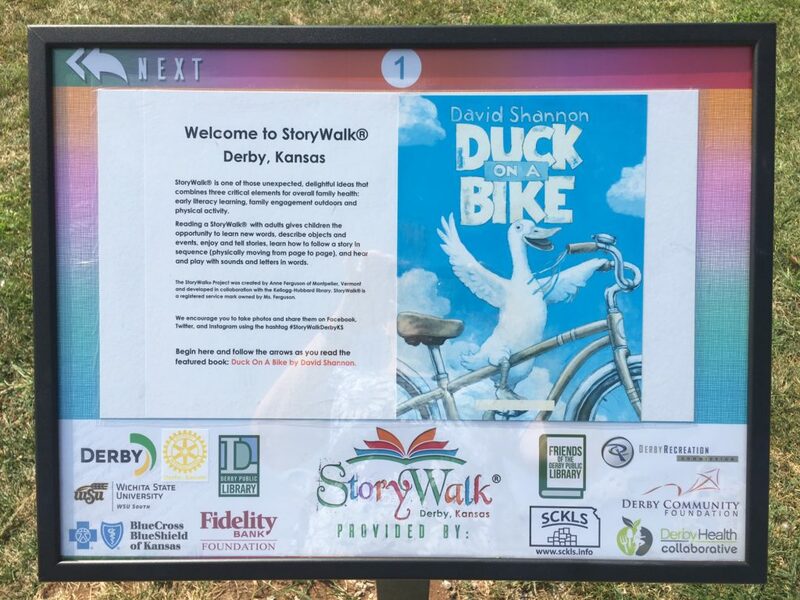 Funding for the StoryWalk came from many community organizations, including the library and the Friends of the Derby Public Library. You can read more about how the StoryWalk came to be in this story from the Derby Informer. This is the first stop on the StoryWalk at High Park. It shows you the title of the book and tells you how the StoryWalk works. Youth services coordinator Carri Fry shows Linda Slack the first book to be featured on the StoryWalk at High Park. 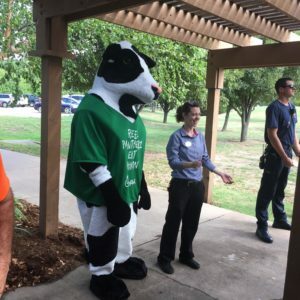 The Chick-Fil-A cow stopped in at the StoryWalk grand opening to help the kids celebrate this fun, new way to read while getting some exercise. 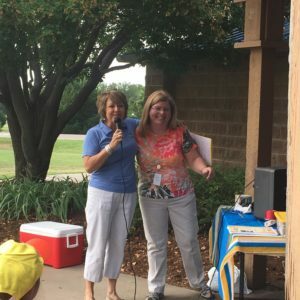 Debbie Williams of the Derby Health Collaborative and Carri Fry of the Library talk about the collaboration the two organizations engaged in for the StoryWalk. 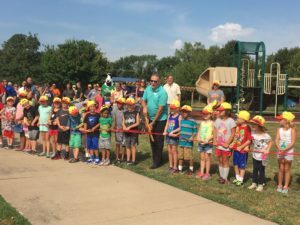 Mayor Randy White gets some help from Derby-area kids to cut the ribbon to officially open the StoryWalk. 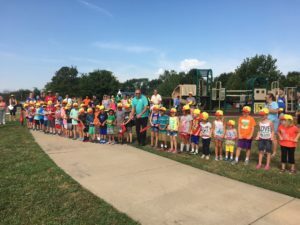 And the ribbon is cut, so StoryWalk is officially open! Now, let’s go take a walk and read a story! I don’t know about you, but when I am traveling, I love to visit libraries in the area where I am traveling. 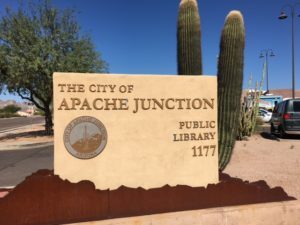 I recently had the opportunity to spend a few days with my parents who live in the Phoenix-Mesa area of Arizona, in Apache Junction. We made time to head over to their pretty fantastic library. I snapped a few photos to share with our readers. I know I’ve arrived at the library! From the outside the library looks like your average library, then you walk inside. Eh, still nothing spectacular, except the Friends of the library book sale right in the lobby! However, once I entered the library proper, it was so much fun! 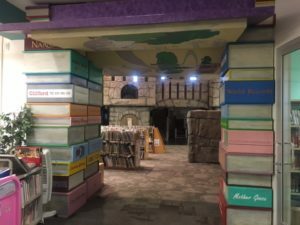 Entrance to the children’s area of the library, where you get to walk right through some stacks of books. There are some fun titles on these books! And once you’re inside the children’s area, there is more fun waiting. 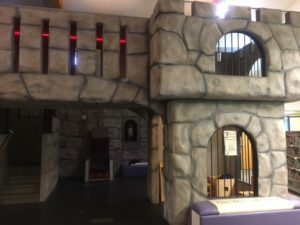 Want to read in a castle? You can! Watch out, or the dragon may catch you from above. 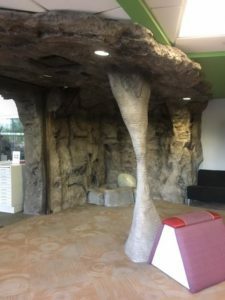 Find a huge book to sit on or tuck yourself away in a rock cave to enjoy your book. This castle has lots of little spaces for someone to tuck themselves into and read. 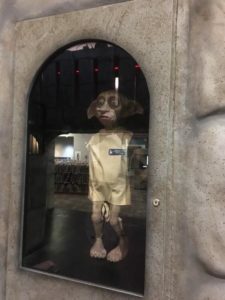 I even found a house elf in the castle. Has anyone given him a sock yet? 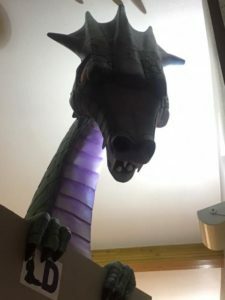 This dragon is pretty sneaky, watching the goings on in its library from up above. Or you can tuck yourself into the little cave in the corner, or sit on a book-shaped seat. 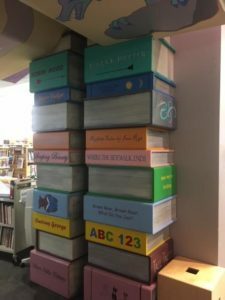 Do you visit other libraries in your travels? Share a picture in the comments!